Home / News / Politics / Trillanes on President Duterte’s resign speech: "It’s a trap." Trillanes on President Duterte’s resign speech: "It’s a trap." On Tuesday, July 10, 2018, opposition Senator Antonio Trillanes IV defined President Rodrigo Duterte's announcement that he will step down as early as next year, as a "trap". 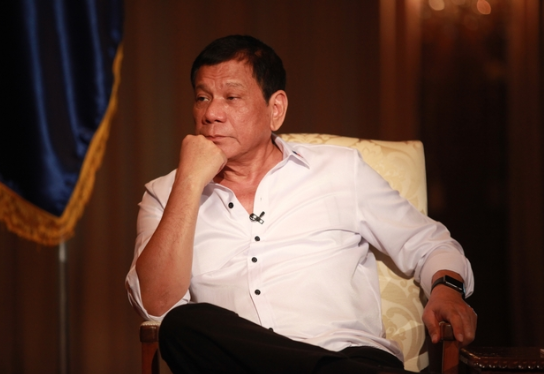 It has been reported that President Duterte announced that he will venture down as ahead of schedule as one year from now if the administration's drive for a move to federalism succeeds. “I urge Congress and kay Puno [consultative committee headed by former Chief Justice Reynato Puno] ngayon to make the final changes. Make me president only next year 2019 and I will accept it if that will satisfy.”, the president said. Senator Trillanes abruptly compared this declaration of the President to the latter's vow before that he will end illicit medications, corruption, and criminality in six months and if ever that he can't make it during that period of time, he will resign. “That is a trap! Huwag tayo magpapaloko ulit sa mga pangakong ganyan ni Duterte. Gaya ng kanyang pangako na paglinis daw ng bansa ng korapsyon, krimen at illegal drugs in three to six months at kundi n’ya magawa, s’ya daw ay magre-resign,” the senator exclaimed. 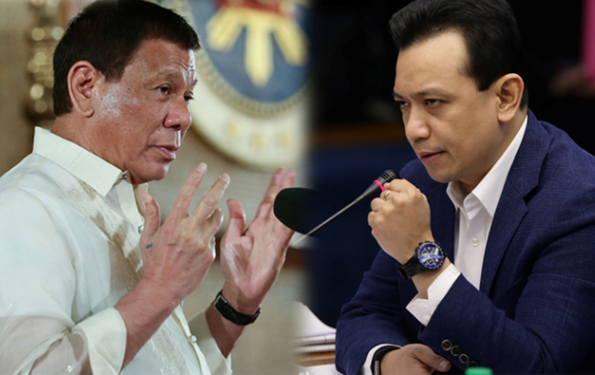 Likewise, Trillanes added that President Duterte just needed the senators to push for Charter change and just wants to cheat and trap senators to agree to Cha-cha so they can taunt the Constitution to postpone the 2019 elections and keep them in position. 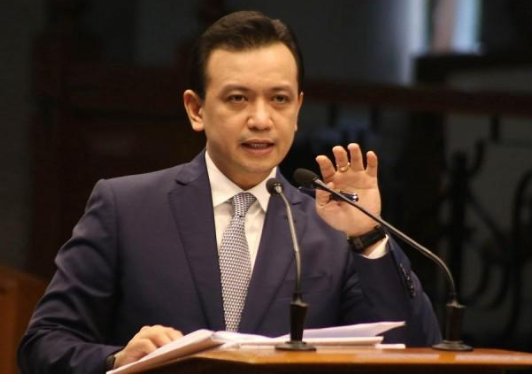 “Nais lang nyang lokohin at i-bitag ang mga senador para pumayag na mag Cha-cha nang sa ganun ay magahasa na nila ang ating Constitution para ma-postpone ang 2019 elections at mapanatili sila sa pwesto,” Trillanes exclaimed. He likewise urges the public not to agree on the administration's plan and said that if the President really wants to resign because he's tired, he ought to do as such with no dramatization or condition. “Hindi tayo dapat pumayag sa ganyang balakin. Ngayon, kung gusto n’ya talaga mag-resign dahil pagod na daw siya, gawin niya lang agad na wala ng drama at kundisyon pa,” he said. Meanwhile, Senator Francis Pangilinan announced that any discussion of term extension or no-election scenario ought not be discussed now, because jobs and wages of the people, is actually the people's cry and not the added term and the salary of the politicians. “Term extension or no-election scenario leaves a bad taste in the mouth, especially when prices of rice and other basic food items are rising and government has just increased taxes. Trabaho at dagdag na sahod ng mamamayan, at hindi dagdag na termino at sweldo ng pulitiko ang sigaw ng taumbayan,” he said. The senator then added that the public should not be prevented from claiming its entitlement to vote and not disregard the sacred rights of citizens to choose their leaders. Moreso, Pangilinan said that they need to proceed with the election and should stop Chacha since the latter's primary concern is just the interest of some politicians. “Hindi tayo papayag na balewalain ang sagradong karapatan ng mamamayan na piliin ang kanilang napupusuan sa halalan. Kung uunahin lang ang interes ng mga pulitiko ay huwag na tayong mag-Chacha. Ituloy ang halalan,” Pangilinan added. On the other note, as far as it matters to Senator Panfilo Lacson, the draft charter should not be about a single individual only but rather should be for the welfare of the next generation and when if ever transmitted to Congress, they should construct their choice in light of what should serve best the interest of the people. “The proposed draft charter is not about one person, or for those opposing and supporting it. Neither is it about us in this present generation,” Sen. Panfilo said. “Therefore, when it is transmitted to Congress, we must base our decision on what should serve best the interest of future generations of Filipinos. In fact, that should be our first and only consideration,” he added.